The corklands with their rich natural, historical and cultural heritage offer a wide range of activities suitable for all ages. Nature-lovers, gourmets and lovers of history and traditions, families and children, older people and even the most adventurous… there really is something for everyone in this unique ecosystem in the Western Mediterranean. Each and every one of the corklands offers a wide offer of active tourism and are ideal for all kinds of outdoor activity. Hiking, mountain biking or horseback riding all take on a leading role in these areas with their network of tracks and marked trails enabling the visitor to discover the characteristic landscape of each area and see their historical, cultural and ethnological heritage. Some might prefer to get around by quad or jeep or do adventure sports like rock climbing or paragliding. Water sports such as skate sailing, kayaking, canoeing, paddle surfing, kite surfing, etc, can be enjoyed in the sea, for example in Calonge, Palafrugell and Los Barrios; or in rivers and reservoirs in inland areas. There are also interesting river boat trips onboard Balcón del Tagus, in the Tagus International Nature Reserve. Apart from all this, caving enthusiasts should head for Sestrica, fans of astronomical observation, golf and Pitch&Putt are also catered for, as are those who would like to go up in a hot air balloon. The cork territories offer a unique experience of habitats and their natural resources. These activities bring us into close contact with nature and the real way of life of these rural populations. The cork oak forests are areas of great biological wealth as large mammals and birds live exclusively in these areas. They are the habitat of the Spanish imperial eagle, the golden eagle, the black vulture, the griffon vulture, the black stork, the eagle owl and the crane for example. Spaces such as the Sierra de San Pedro, the Cabañeros National Nature Reserve or Los Alcornocales Nature Reserve have ornithological bird watching tours. It is commonly known that male deer emit a guttural sound during rutting (in the mating season). It is a great tourist attraction and, for example, in the borough of Los Barrios they organize trips to hear them. The period starts at the beginning of autumn, usually in late September. It is the quintessential activity of the corklands and is usually carried out in the summer. This is the manual process of stripping the bark from the cork oak, a unique performance. In some places, where the topography does not allow mechanical means to enter the dense forest, mules are used to transport the cork. Areas such as the Sierra de San Pedro, the Cabañeros National Nature Reserve or boroughs like Eslida, San Vicente de Alcántara or Palafrugell, organise tours and have fairs to keep this rural heritage alive. Besides these activities, walks are organized to identify and collect wild mushrooms etc. Talks are held and many companies provide for outdoor activities and ecotourism. The corklands are mostly rural communities where a wide range of traditions, customs and culture are found. They offer new experiences to the visitor who can venture into an unknown world here. To understand the relationship between man and his rural way of life follow the paths that take in terraces, ice stores, farms, kilns, traditional water mills, coolers, mines, etc. Consult the relevant visitor centres for more information. The largely unspoilt countryside of the cork producing areas has within it treasures of great cultural interest. Most boroughs have archaeological remains and burial sites, megaliths, etc., as well as Iberian villages, castles, walls, farmhouses, medieval mills, architectural remains of the Arab occupation, dams, aqueducts, etc.. The religious heritage boasts remnants of pre-Romanesque churches, hermitages and monasteries, all in areas of outstanding natural beauty. Once the cork industry got under way in the eighteenth century and prosperity arrived, the towns were adorned with stately homes and modernist buildings. Facilities are in place to help the visitor to appreciate all of this in each local context. Besides all of the above, the cork territories can be proud of their wide ranging, high-quality cuisine true to the precepts of the Mediterranean diet using local produce. In almost every area you can sample culinary specialties and unique dishes. The inland towns specialize in game, meat and sausages, with unique dishes like el buche, a hearty sausage stew in San Vicente de Alcántara, and specialties like hot tomato soup or goats’ cheese. On the coast, there are no shortage of fish and seafood dishes. Beekeeping, ancestral activity in these territories, still provides a source of income for those who are involved in it. Visitors can learn the craft in Cabañeros National Park, in the Sierra de Hornachuelos and the Sierra de Espadán Nature Reserve, where beekeeping is widespread and workshops that deal with all aspects of the practice are held. The olive tree and its fruits have long been present in history and have been significant in ancient Mediterranean civilizations. Today, olive oil is a staple part of the Mediterranean diet. So much so that tours can be done to learn about production and the cultural and natural heritage linked to this excellent, high-quality product. Some producers at the very top of their game have earned d.o. (designation of origin certification) status, such as Montes de Toledo; Empordà virgin olive oil, but other cork areas do tours too, as is the case in the northern part of the Sierra de Cádiz. What better way to discover the world of cork than hand in hand with its sister product, wine? They are two sides of the same coin and their landscapes blend in with each other. Wine tourism is well established in the corklands through wine tours, workshops, tastings and visits to wineries and vineyards. Here cuisine, culture, and, more recently thanks to vinoterapia, health and beauty meet. Another great attraction are the gastronomic events organized ​​by cork communities throughout the year. These events provide visitors with an interactive experience of local produce in each area. 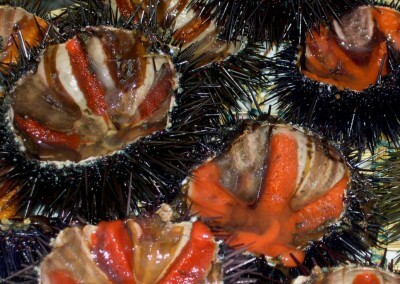 The Catalonian towns of Calonge, Llagostera, Palafrugell, Santa Coloma de Farners, Sant Celoni and Tordera offer different tasting menus eg Menu Gamba (prawns, langostines) Menu Manaias is Roman inspired, and include local recipes like Garoinada (sea urchin) ratafia (liqueur made from the maceration of different fruits, herbs and spices), mongeta Ganxet (green bean), etc. A popular way to uncover the charm of the corklands is by combining driving with walking, cycling or horse riding to visit selected places of interest. Thematic routes that explore some aspect related to history, economic activity, local produce, natural heritage, etc such as the Route of the white villages (Pueblos Blancos), in Andalusia, or the Silver Route (Ruta de la Plata), that goes from Andalusia to Asturias via Extremadura and Castilla y León are examples of routes that take in the corklands. 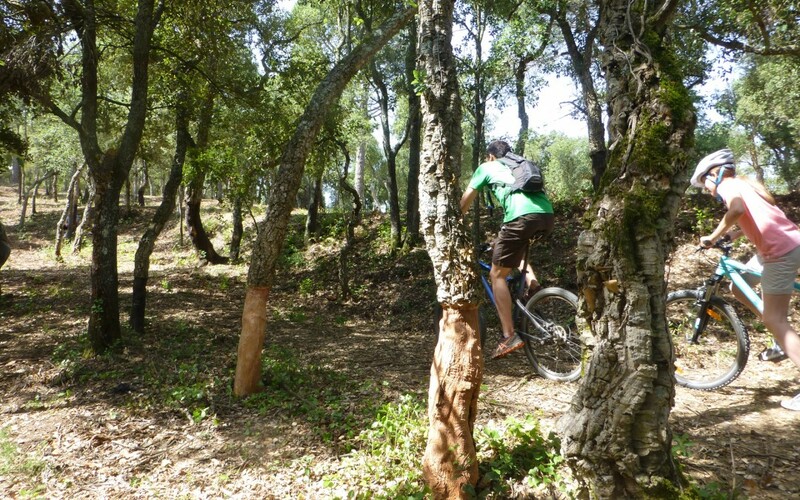 Shorter, more local type routes such as the Ruta del Toro in the province of Cádiz, and those in Montseny Natural Park or the Baix Empordà in Catalonia also pass through cork territory.